In researching the industry need for this service, MobiVet, research needed to be completed on who could potentially be targeted. Currently, pet ownership stands at 68% of all U.S. households. With the U.S. Census reporting 124.587 million households, the number of pet-owning households is 84.6 million. Pet ownership displays a consistent upward trend over more than two decades. 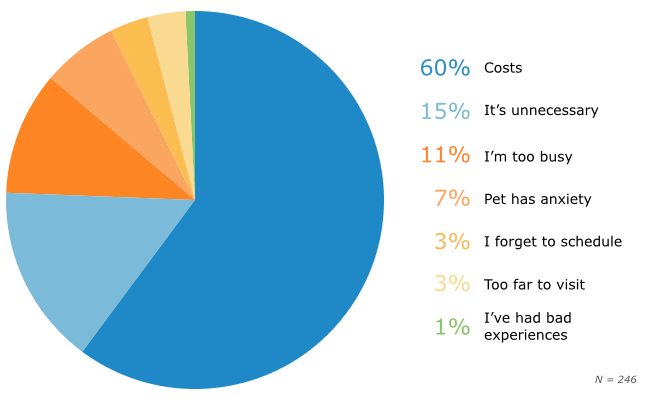 With a focus on just cats and dogs, survey results showed how often pet owners currently take their pet to the vet. 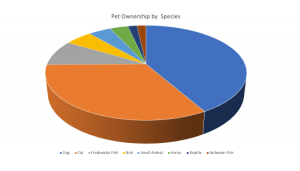 Results here show that at least half of established owners take pets to the vet once year or more per year. The results also show around 40% of owners (including new cat owners) do not take their pet(s) to vet at all. While all types of surveyed only take them when a problem occurs. These are the areas MobiVet can disrupt. Also as a future state another area that can be disrupted is the interaction of the Millennial generation. In this instance MobiVet could assist in the categories of of “It’s unnecessary” down to “I’ve had bad experiences” of why Millennials do not take their pets to the vet, by increasing the convenience and comfort, due to familiarity of environment, for the owner and pet. We can also consider older generations of pet owners outside of Millennials as potential users of MobiVet. For the generational analysis, the following definitions for each generation apply. ‘Millennials (1994-1980) includes respondents aged 18-36; ‘Gen X’ (1979-1965) respondents are 37-51 years old; ‘Baby Boomers’ (1964-1946) are between 52-70 and ‘Builders’ (1945-1920) are 71+ years old. The amount of time spent on each media outlet is fairly consistent across the different pet types owned. By generation, media habits exhibit differences. For example, time spent on the Internet increases as the age of the pet owner decreases. Millennials spends 3.5 hours per day, while Builders spend 2.8 hours per day. Millennials, in particular, are taking the humanization of their pets to the next level. So MobiVet could be a disrupter among the Millennial and Gen X demo as these groups are familiar with the use of internet(including mobile) as a source to their information and completing tasks. Millennial appears to be willing to pay more for convenience services. One feature of MobiVet is the offering of telemedicine services for pets. Home visits and emergency services have been around as offerings by vets for a time, albeit not through apps/websites, however telemedicine for pets is something new and unique. 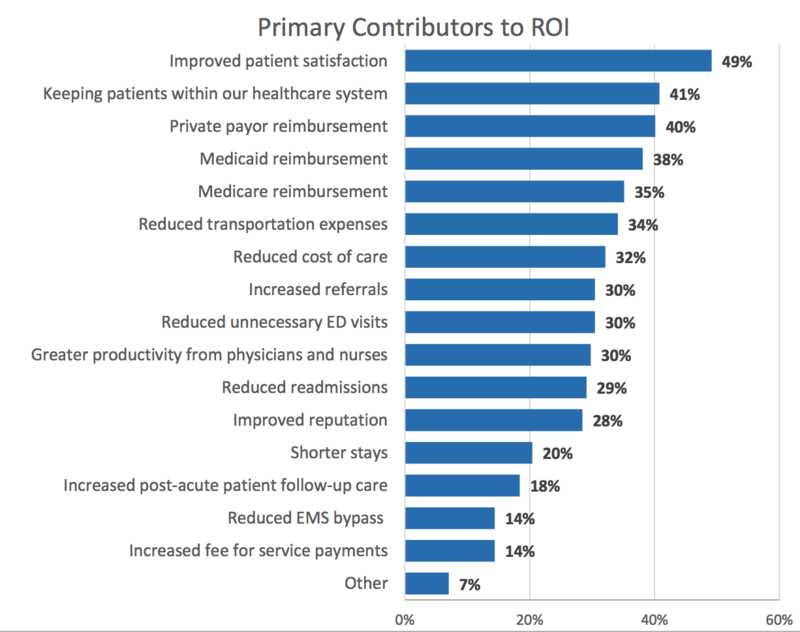 Looking at telemedicine currently being offered by health insurance companies we see these results in the market. 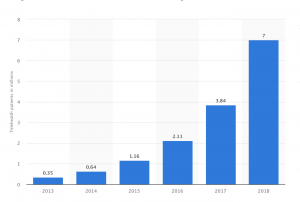 Here we can see by these results that telemedicine is increasing in use and value worldwide. 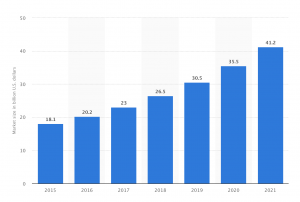 With at least Millennials treating their pets more like humans we can correlate that the value and use of telemedicine for pets would also project as an upward swing if available to this demographic. The main contributor to the Return on Investment for human telemedicine is increased patient satisfaction. This would also be the main contributor to the ROI for pet telemedicine as it gets the pet owner an answer/service quicker without the need to leave the house and wait to see a vet. Below are the two Process Flows that would disrupt the current process model of a pet owner taking a pet physically to the vet.